15 August plays very important role for Indians. Overthrowing colonial British rule led to India’s tryst with destiny, which was a major speech delivered by Jawaharlal Nehru, the first Prime Minister of India. Independence day is also celebrated in New York and other major cities in US. It is observed that more than 50,000 Indians showcase and enjoy the colors of their cultural extravaganza in New York City wherein dance performances are among the highlights of the programme. The atmosphere is nevertheless charged with vibrancy and festive spirit of Indian culture. If such is the spirit of Indians in US, imagine the celebration throughout India. We may not be present there but we can definitely taste popular delicacy of India and cheers for Indians. So let’s prepare Dal Makhni or Daal Makhni. To add onto this, I am very fond of Indian recipes. Hope you have tried Traditional Rajasthani red meat recipe. 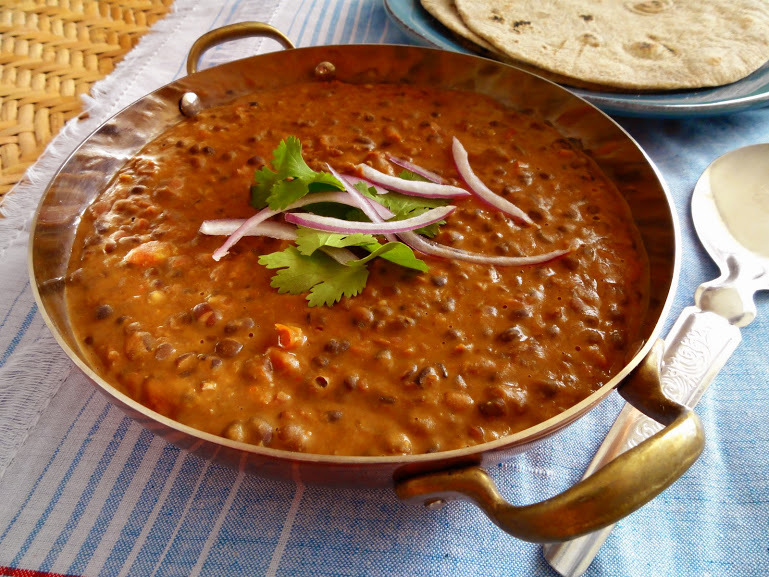 Dal Makhni is a spicy and heavy vegetarian recipe prepared of black lentil, red kidney beans, butter, heavy cream and lots of Indian spices. It is best paired with Naan (oven baked flatbread), lacha parantha (multi-layered fried North Indian flatbread) or plain boiled rice, if you are a rice eater just like me. 1 tablespoon Garam Masala (Indian Powdered Ready-made Spices). Soak whole black lentils and red kidney beans overnight. Take a pressure cooker. Add all the ingredients with water. Pressure cook with 15 whistles. Let the cooker cool. Check if the lentils are cooked. Check by mashing them up with spoon. They must easily mash. If not cooked thoroughly, again pressure cook for 3 whistles more with 2 cups of water. Now again open the cooker, after cooling. Let the dal simmer in the cooker for 15 minutes. By this time, you achieve smooth and creamy consistency. Add one tablespoon of cream if desired. Simmer for 5 minutes more. Add on salted butter while serving. Serve with Naan, Lacha Patantha or Steamed Rice.